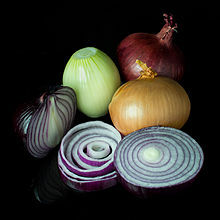 An ingan (Allium cepa L., frae Laitin cepa "ingan") is a vegetable o the genus Allium weel uised in ceukin. Wikimedia Commons haes media relatit tae Lapsana communis. This page wis last eeditit on 20 Februar 2019, at 14:54.